GRAD LIBS! This is the best game/activity for a graduation open house or party. 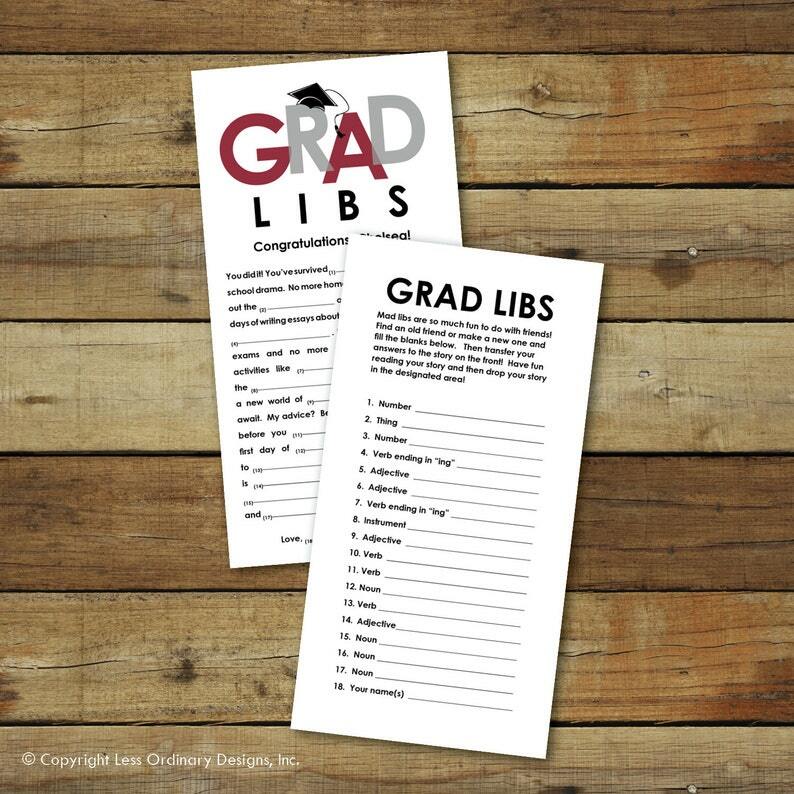 These mad libs are intended to give sound advice to the graduate. Just fill out the blanks and transfer them to the story. This game always results in lots of fun and laughter for guests! 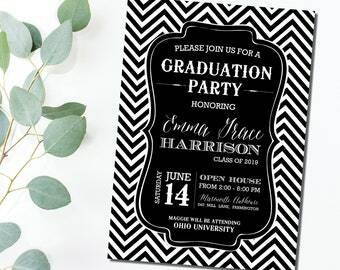 Each file includes a customizable field for text on the front (it currently says "Congratulations, Chelsea!"). Just click and type to make it say whatever you'd like. Print these on plain 8.5 x 11 card stock or paper. The file comes in two versions: The first has trim lines that allow you to make 4.25" x 8" cards and the second has NO trim lines so that you can just cut the cards down the middle for 5.5 x 8.5 cards. In either case, they print 2 to an 8.5" x 11" page. Print the file front and back so that guests can fill in blanks on the back and then transfer their answers to the front. These files will be available in your account > purchases immediately upon payment. You will receive printable .pdf file. This file will be available in your etsy account immediately upon purchase. The link will also be emailed to you. Please be sure that address is up to date. Mad lib advice cards are available in custom colors/styles at additional cost. Please contact me if you're interested in a custom file. LOVE! Such a fun idea! Great print quality and response time!